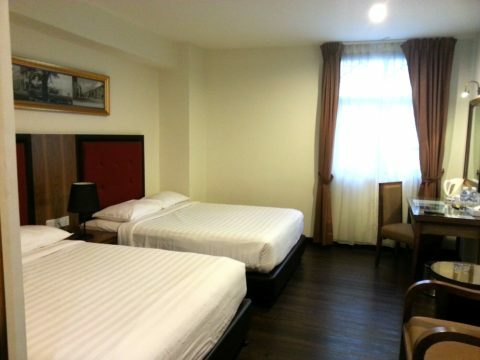 You can travel by train from Penang to Chumphon in Thailand (the connection point for ferries to Koh Tao) by first taking a train from Butterworth Railway Station, which near to Penang Island, to Padang Besar and then changing trains for the second stage of the journey to Chumphon. If you take the right trains you can complete the journey to Chumphon in a scheduled travel time of 15 hours 31 minutes from the time the train departs from Butterworth Railway Station. Stage 1 of the journey by train to Chumphon is from Butterworth Railway Station (near Penang Island) to Padang Besar on the border with Thailand. 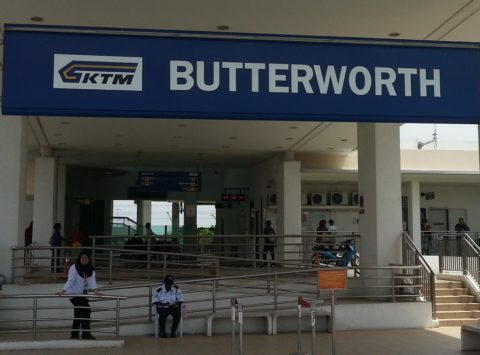 The easiest way to travel from Penang Island to Butterworth Railway Station is take the Rapid Ferry service from George Town which arrives on the mainland at a ferry pier very close to Butterworth Railway Station. For stage 2 of the journey there is only a single direct train per day from Padang Besar train station to Chumphon. If you miss this train or it’s fully booked then you can take a shuttle train from Padang Besar to Hat Yai at 08:55 and 15:40 (Thailand time) and then take one of the other 5 train services from Hat Yai to Chumphon which depart at 06:40, 14:45, 15:39, 16:23 and 18:45. Buy train tickets from Padang Besar to Bangkok. The journey by train to Chumphon starts from Butterworth Railway Station. 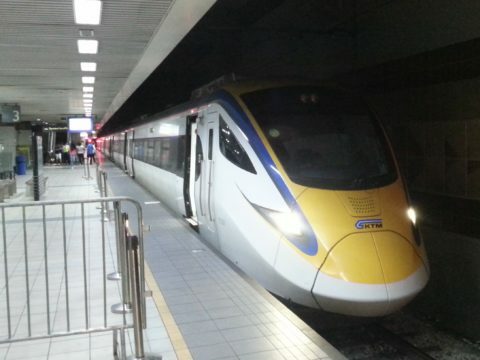 For the next stage of the journey you need to change trains at Padang Besar Railway Station. 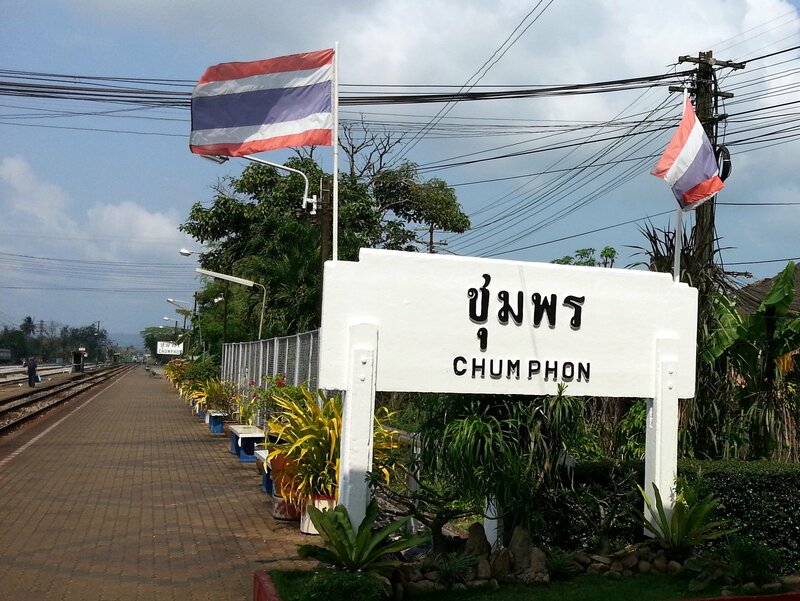 Chumphon Railway Station is located on the north west side of Chumphon Town centre. Chumphon is not a popular tourist destination in its own right and most foreign travellers who pass through Chumphon are either on their way to Koh Tao, or returning from Koh Tao on their way to Bangkok. There are 6 direct joint bus and ferry services a day from Chumphon Railway Station to Koh Tao departing at 05:30, 05:45, 06:00, 11:45, 12:00 and 21:30. You can also travel from Chumphon to Koh Phayam via Ranong. Minivan services from Chumphon to Ranong depart from both Chumphon Railway Station and the Fame Tour Office on the Saladang Road in Chumphon Town, a 400 metre walk from Chumphon Railway Station. There are regular departure from Chumphon to Ranong from 07:00 until 18:00 every day. To reach Koh Phayam you then need to travel from Ranong Bus Station to the ferry pier off the Chaloem Phrakiat Road. A variety of speed boat services and a slow ferry service operate during the holiday season from the pier in Ranong to Koh Phayam.